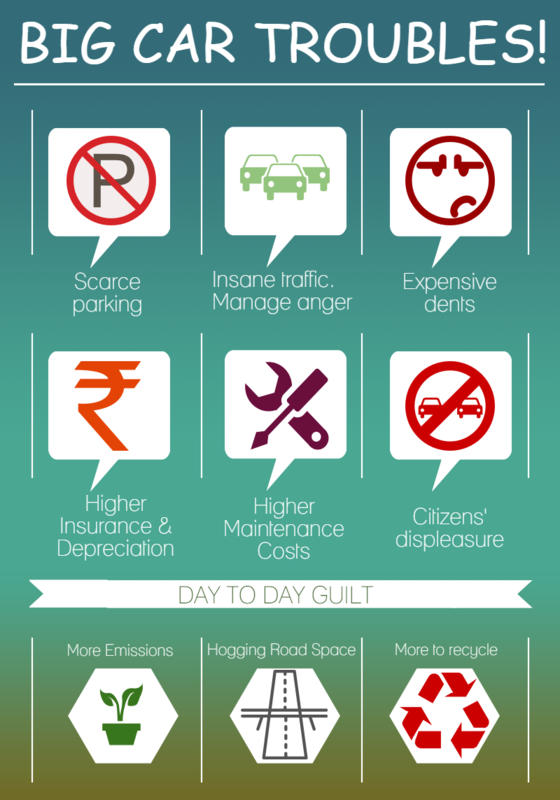 That was the question on Neha Krishnan’s mind when her brand new sedan turned 5. She still remembers the day her promotion was announced, and how she had secretly decided to upgrade from her second hand hatchback to a shiny new sedan. Cut to the present, and her shiny new sedan is 5 years old. While the car has mostly been trouble free all these years, her last annual service cost her Rs.25,000. Some vital organs have started needing repairs, and some others need replacement. ‘Is this the right time to sell?’, she wondered. Does that sound like a familiar predicament? 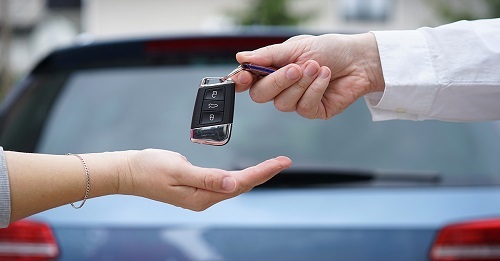 When is the right time to sell your car? While there can be no ‘right’ answer that suits all, most car owners part with their cars after year 3 or year 5. So is it 3, or is it 5? Or should you look at the odometer readings? 60,000 kms, 75,000 kms or 1,00,000 kms? Isn’t it prudent to keep a depreciating asset like a car for at least 10 years? Like they say, ‘it all depends’. But on what? 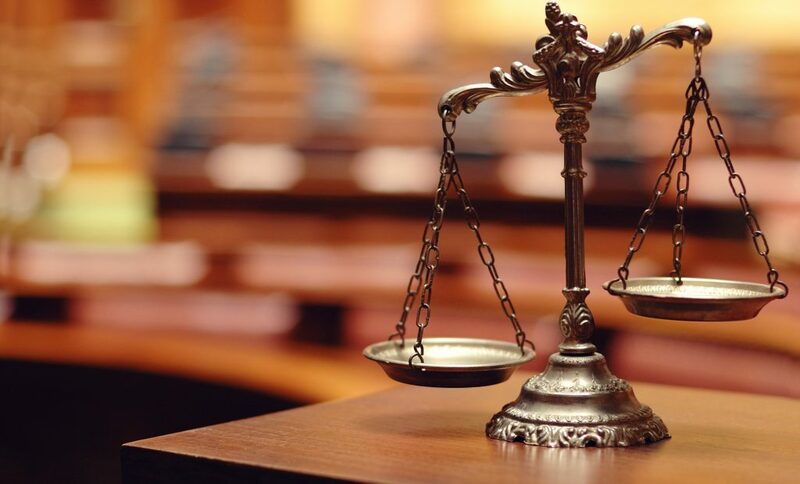 The following are the key factors that must influence your decision. 1 year / 10,000 kms: This is when a car depreciates most. Definitely not a good time to sell! 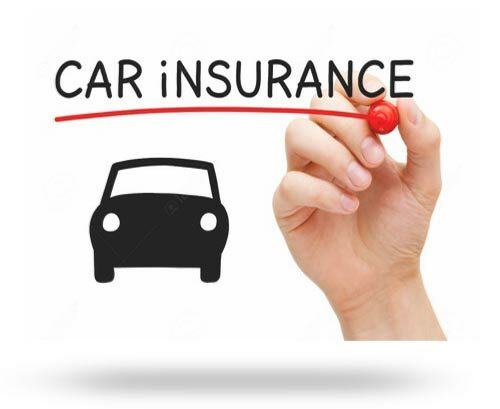 Your car depreciates anywhere between 20 to 30% depending on make and model, in the first year. 3 years / 30,000 kms: Most warranties will expire at the end of 3 years or 30,000 kms. This is the time when you can expect more than just the regular oil change, air and oil filter replacements. Replacement of brake pads, and minor running repairs can also be expected. A good time to sell if you’re looking for a high resale value. 5 years / 60,000 kms: By this milestone or a little after this milestone, you’ll be spending on major repairs and replacements like a clutch overhaul and new tires. 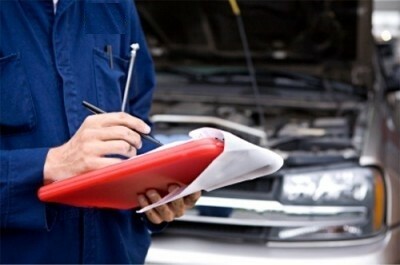 Depending on how well you maintain your car, you will see one organ or the other failing with predictable frequency. 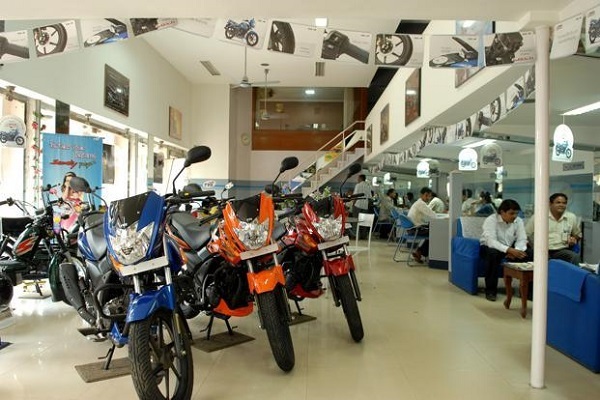 Periodic service bills typically shoot up after the 5 year / 60,000 kms milestone. If you want to sell your car at a decent price, sell before this milestone. 7 years / 100,000 kms: This is the stage when the car’s health hugely depends on how it was maintained in its younger years. Badly maintained cars would have turned barely roadworthy, while well maintained cars can continue to run will fairly high levels of reliability. If selling was on your agenda though, remember that most used car buyers filter out cars that cross the 7 years / 1,00,000 kms milestone. 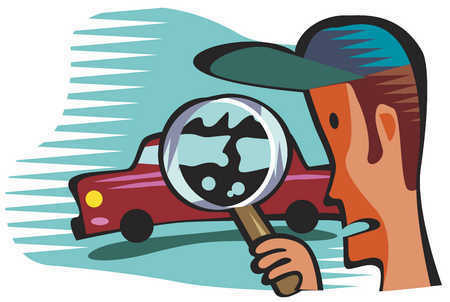 Chances are that your car will not be spotted at all in online searches. Manufacturer’s service reputation: How easy or difficult is it to service your manufacturer’s cars? This research can easily be done online. A quick call to Wheels Wisdom can also help answer this question, since our core business is servicing cars. End of Life: Has your manufacturer stopped making the model you own? Or are they about to? If the answer is yes, sell! Serviceability and availability of spares become extremely challenging after EOL, and bring down the selling price of your car drastically. After you have considered all of the above, if you’re still undecided and want our ‘can’t go wrong’, advice, here goes: Sell anytime between the 3 to 5 year milestones. It is a good middle ground between not losing out too much on depreciation due to a very early sale on one hand, and not ending up with a car with too many maintenance issues due to old age on the other. Just like in civil construction, a car’s pillars support its roof. To identify them, one needs to look at the car from one of its sides. The sloping pillar between which the windshield glass is fixed is the A Pillar. The second pillar from the front is the B Pillar, onto which the front doors click shut. The rear doors are hinged to the B Pillar as well. The C Pillar is behind the rear seat, and is the third and final pillar when it comes to hatchbacks, sedans, and small SUV’s. Larger cars with a third row of seating, like Minivans and Large SUV’s, have a fourth D Pillar, which is behind the third row. Typically, thicker A and C Pillars (D, in case of Minivans and SUV’s) are disliked as they block the driver’s field of vision at the front and back respectively. Are you planning to learn driving? Welcome to the ABC of Driving! As with all articles on Wheels Wisdom, we use the simplest of words – to make complex topics easy to understand. 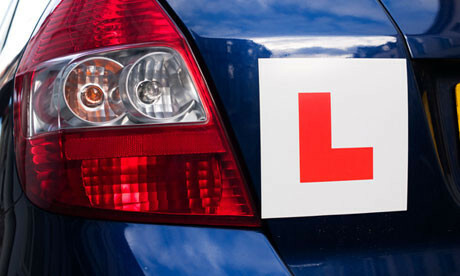 Often new drivers are forced to learn driving with an instructor without first getting a chance to understand the steps to be followed in simple terms. 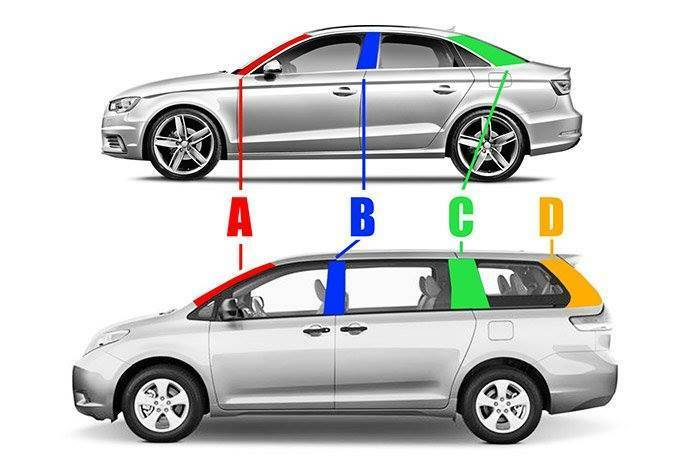 We recommend that you read Know Your Car for Dummies first, before reading this article. It introduces you to the main components of a car from a driver’s perspective. Now let’s get straight to business. We promise, after you finish, you wouldn’t believe how easy it was to learn driving! The process of starting the engine is known as Ignition (to ‘burn’ – and in this context, petrol or diesel). In the olden days, one had to rotate a rod attached to the engine twice or thrice over to start it! But now, all you have to do is to slide in the key, turn it, and presto, your engine revs up. If you bought a car with the Engine Start / Stop button, you don’t even have to turn the key! Just walk in to the car with the smart key fob, hold down the clutch, and press the Start / Stop button to start the engine. The commonly found system though is the one with a key. There are four positions you can set the key in – Lock, ACC, IGN, and Start. Lock: This is the position in which you insert the key in, and take the key out (you will not be able to pull out the key in other positions). The position is called Lock because it locks the steering wheel in place. Yes, a thief will not be able to turn the steering wheel left or right from this position in the event of a break in. ACC: This is the next key position, in which Accessories are powered on. This mainly includes the infotainment / music system, and the charging sockets. IGN: In the IGN position, all warning lamps are activated, and must illuminate. The fuel and temperature gauges are also activated. 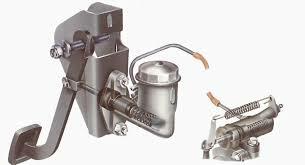 A/C blowers (of course without the compressor operating since the engine is not yet running), and all other electrical systems are also available for use in this position. Make sure the hand brake is engaged, and that the area ahead of you is clear of people (toddlers right in front of the car cannot be seen from your drivers’ seat) or large objects. Ensure that all occupants in the car are wearing a seat belt or are restrained using a child / booster seat. Make sure the Outside Rear View Mirrors are opened and correctly adjusted. Check tires for air pressure. Starting the engine: When trying to turn the key from IGN to Start, you will notice resistance from a spring trying to bring the key back to the IGN position. This is because the key must stay in the Start position for not more than 2 to 5 seconds. In this position, your car activates a powerful motor called the starter. The starter is powerful enough to crank the engine so that it gets an initial momentum before it can run on its own. Therefore, it drains a lot of energy from the car battery. You must release the key as soon as you hear the engine running on its own. With diesel engines, you will notice that an amber colour coil lights up for a second or two (among the warning lamps) when you turn the key to the IGN position. You must wait until this lamp goes off before turning the key to Start. This is because the ECU activates a heater to heat up the engine prior to ignition. Keeping the hand brake engaged, press the clutch completely (to disconnect the engine from the drive), and move the gear lever into the first gear position. Now release the hand brake, slightly press the accelerator and gradually release the clutch (to gradually connect the engine back to the drive). Read that line again to clearly understand what it asks you to do. The car will move forward. Yes, it will! Remember to neatly register that feeling you will experience, in your mind. It is a moment you will love to recall for the rest of your life! Increase your speed now by keeping the accelerator slightly pressed. Now observe the increase in engine noise. When the noise reaches a moderate level (roughly 2000 rpm on the tachometer, if you have one), you must shift to the second gear. To do this, you again must press the clutch completely, put the gear lever into second gear, slightly press the accelerator and gradually release the clutch. Now, as you did for the second gear, continue keeping your foot on the accelerator till the engine noise reaches the moderate level again. Follow the same procedure to shift into the third gear now, and similarly to the fourth and fifth gears. Now you know how to acquire speed. What if you need to slow down? Let’s say you’re driving in the third gear, at roughly 30 km/h.You are approaching a traffic signal. If you thought that you have to come back to the first gear in the same order in which you went up, you don’t have to! What you need to simply do is to gradually press the brake until the car slows down to say 5-10 km/h, press the clutch completely at that point, and continue braking until the car comes to a halt. Now read that line again! Why on earth do you have to press the clutch? This is because in any gear, there’s a minimum speed below which the engine cannot pull the car. You’ll know this point has reached when you hear the engine struggling. At that point, you have to hold down the clutch – else the engine will stall (turn off). 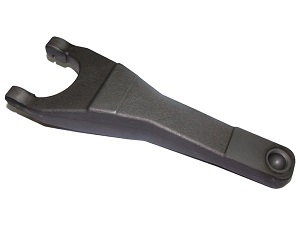 What you’re doing by holding down the clutch is that you’re simply disconnecting the drive from the engine to relieve it of any load. Now how will you know which is the minimum speed for each gear? Out of experience. This is because, even if you look at the speed / gear chart provided in the owner’s manual, can you be looking at the speedometer each time you slow down? That’s not practical! Hold down the brake pedal, release the hand brake, and move the gear lever to the D position. You may have to press the shift button on the gear lever to be able to move it, in many AT cars. In others, there’s a certain pattern in which the lever can be moved to get to D – just follow that, and you’re good. Once in D, take your foot off the brake. The car should start moving forward (in some AT’s). This motion is called Creep. Certain other AT’s will not creep, and you must press the Accelerator gently to start moving ahead. That’s it, the AT will take care of upshifting gears. When you need to slow down, gradually press the brake pedal. 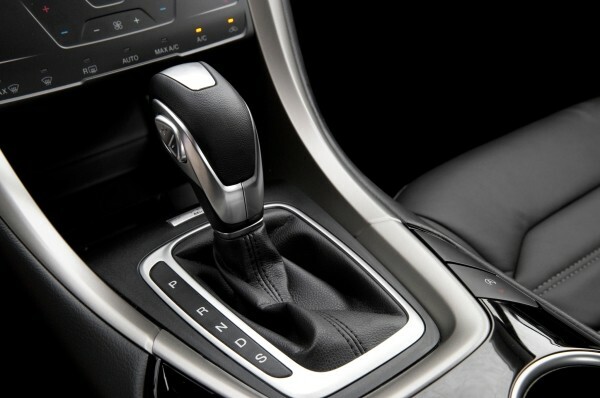 The AT will manage downshifting of gears, and will ensure that the transmission is slotted in the right gear the next time you press the Accelerator. The N position is for Neural. You don’t need it during regular drives. The R position is for reversing. The P position (not available in some AT’s) must be selected when the car is parked. P keeps the engine in neutral, and also locks the wheels in place. Remember to engage the hand brake as well after parking the car. Note that we’re not discussing different types of AT’s like Hydraulic, AMT, DSG, or CVT in this article to keep it simple. Hold the steering wheel with both hands for better control, at the same time taking care to position your fingers appropriately so as to be able to easily use the horn buttons when necessary. You must note that taking care of the front half of the car is not enough. The rear half is behind you, and must be taken care of! This is to be specially noted while negotiating turns. When you turn, in addition to manoeuvring the front of the car, you have to watch where the rear wheels are going. Similarly, while trying to turn while reversing, you must remember to watch the front corners of your car. Now that you know how to move and to stop, you are ready to learn how to turn. As you approach a turn, switch on the right or left indicator and slow down well in advance to avoid a sudden braking later. When you reach the turn, turn the steering wheel in such a way that the car turns into the left hand side of the road you’re taking (in India). Once you are in there, accelerate again and work up the gears. That’s it! Didn’t think it was this simple, did you? Note that turning involves a reduction in speed. Therefore, you will need to come down to a lower gear before accelerating after the turn. There are occasions when you need to move the car backward. The prerequisite for gaining expertise in the reversing department is that you must be in total control of the car as far as the accelerator, brake and clutch are concerned. Once that’s there, you need to get the steering right. And that, is no big deal. To move backward, first press the clutch completely and slot the gear into reverse (MT) or move your gear selector to R holding down the brake (AT). Now, turn back and look over your shoulders to make sure the area behind the car is clear. Release the clutch gradually while gently pressing the Accelerator (MT) or let go of the brake, and gently press the Accelerator (AT), all this while looking where the car is heading and adjusting the steering. The important thing here is, you must be able to easily work with the pedals even when you are looking back. Once you have them in control, it’s easy to steer the car as you move backward. Well, that’s it! You must be able to do a fine job reversing now. When you approach a bridge, you may either be approaching at a high speed or you could be part of a queue of vehicles, inching forward to the bridge; the latter being more probable in a city. If you think you have enough momentum to keep going without shifting to a lower gear, keep going as you are. On the way up, if you feel that the gear you are in, say fourth, is not able to pull the load, you must shift to the next lower gear, third, in this case. Lower the gear, more the power, remember? Stay in gear when going down the bridge as well. Never slot the gear in neutral or switch off the engine to save fuel, while going down any slope. Let’s just say you run the risk of losing control over the car if you do that. I came, I saw and I conquered (the bridge), eh? When going down a hill or any slope, you may need to keep the car from picking up too much speed. This is especially true if you’re also dealing with turns as you go down the hill. In such situations, keep your car in lower gears (typically 1st, 2nd, or 3rd) and let go off all floor pedals. Gravity will pull the car downward, but the engine (yes, the engine!) will hold the car at a lower speed (the lower the gear, the lesser this speed). This is known as engine braking. With engine braking, you only need to use additional braking using the brake pedals occasionally. 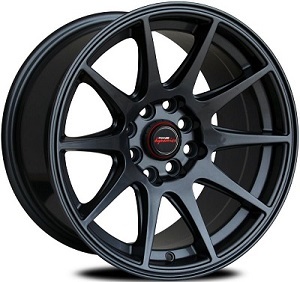 This greatly enhances brake life, especially if you drive in hilly areas frequently. Never go down a hill in Neutral. The car will pick up too much speed, and continued use of brakes will cause the brake pads to overheat, and lockup. Remember to always leave home early so that you don’t have to hurry on the road. When you do hurry on the road, you’re putting your own, and others’ lives in danger. All the best and happy driving! 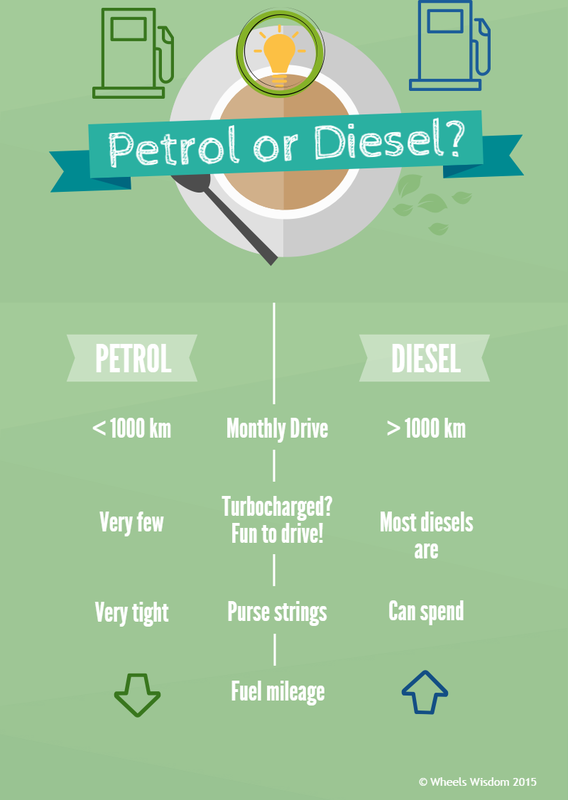 Know Your Car for Dummies! Planning to learn driving? Welcome to Know Your Car for Dummies! Often new drivers are asked to carry out a series of actions purported to be ‘the way you must drive’ a car. However, no one explains ‘why’! 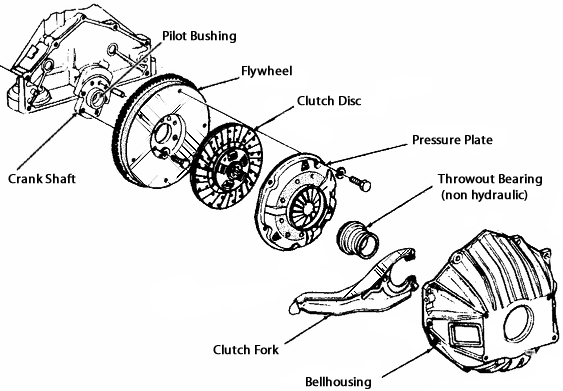 This article will introduce you to the key components of your car from a driver’s perspective. Once you understand the function of these components, you’ll notice that you’re able to appreciate the why’s behind the what’s, making it way easier to learn driving. Note that we’ve used the simplest of English language to make it just that – simple! Congratulations on having procured one of the finest inventions of mankind, the automobile! Now it’s important to get to know your car well. That’s because when you understand your machine, you’re in better control of it. That makes you a more confident driver, and the roads much safer. Let’s get started! Consider the accelerator as a tap. As you open it, you let more fuel into the engine. The accelerator is attached to a spring such that it returns to the ‘close’ position after you take your foot off it. 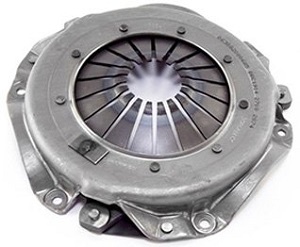 The brake is a mechanism using which you can reduce the speed of your car. When you press the brake pedal, a pair of arc shaped pads is pressed against the wheel disc (disc brakes), or the wheel drum (drum brakes). Due to the friction between the pads and the disc or drum, the car slows down. The mechanism works on all four wheels. The Parking Brake, on the other hand, usually holds only the rear wheels in position. The Parking Brake must not be used when the car is in motion. The only exception is in case of a brake failure, when it must be used gradually to bring the car to a safe stop. 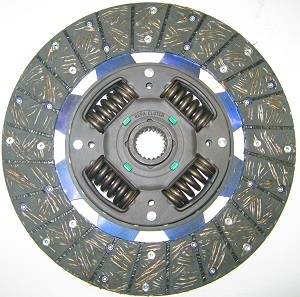 The clutch is used to connect or disconnect the engine and the drive. Now, what’s a drive? 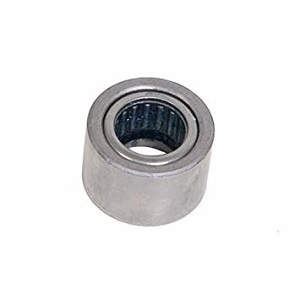 The drive is the mechanism that transfers power to the wheels. 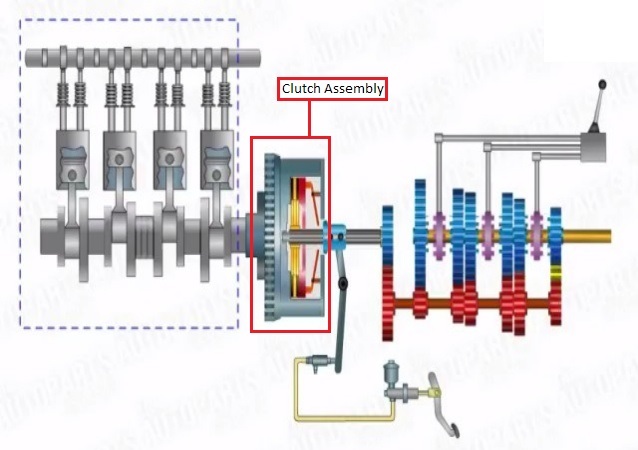 So if the clutch is completely pressed, the engine runs independently without transmitting any power to the wheels. If you don’t press it at all, engine movement is entirely transmitted to the wheels. So, what about the intermediary stages, when it is partially pressed you ask? When completely pressed, and then released gradually, you are allowing more and more, and finally the entire engine power to work on your wheels. However, all of this is true only when the car is ‘in gear’ (any gear other than Neutral). To comprehend this fully, you need to understand the gear system. Yes, let’s demystify the gears now! Read on. Neutral – Engine disconnected from the drive (or wheels). 1st Gear – Maximum pulling power, Least speed. 2nd Gear – Lesser pulling power, more speed. 3rd Gear – Still lesser pulling power, still higher speed. 4th Gear – Even lesser pulling power, even higher speed. 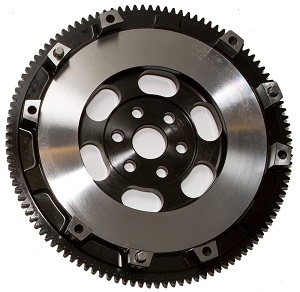 5th Gear (also known as overdrive) – Least pulling power, maximum speed. Reverse Gear – Maximum pulling power, Least speed – just like the 1st gear, but in the reverse direction. So now you know! Why are you asked to engage a lower gear after slowing down from high speed? Because you need more pulling power to accelerate from a lesser speed. Similarly, why are you able to engage higher gears only after gaining some initial speed? Simple – because higher gears have lesser pulling power. In other words, if you want to start off from rest in the 5th gear, it is going to be very difficult for the engine to move the car ahead, almost not possible unless you’re doing it to show off your skills (it’s tricky, can be done, but will strain the engine – Not good)! P – Park: There is no equivalent of this mode in MT cars. When in P, the engine is disconnected from the drive (like in Neutral). However, in addition to that, the wheels are also locked in position – the car won’t move forward or backward. R – Reverse: This position is used to reverse the car. N – Neutral: Just like in MT cars, the engine is disconnected from the drive. D – Drive: The regular forward driving mode. The transmission takes care of shifting gears up and down. There are few other modes one may find in an AT car – like 1, 2, 3, etc. These are equivalent to the 1st, 2nd, and 3rd gears in MT cars. They’re used when climbing or going down a hill, when the driver might want to keep the vehicle in a particular gear without auto shifting up or down. In cars where power from the engine is transferred to the two wheels in the front, it is said to be a Front Wheel Drive. In this case, the rear wheels are just tagging along! Conversely, if the engine is working the rear wheels, the car is said to be a Rear Wheel Drive. The front wheels rotate because the car is being pushed forward by the rear wheels. 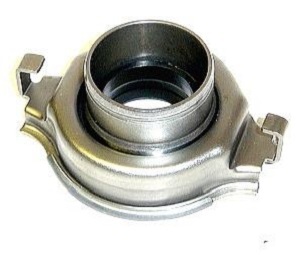 Rear Wheel Drives also have a component called the Differential (the big spherical object you may have noticed between the two rear wheels of buses and trucks), that allows the inner rear wheel to rotate slower than the outer rear wheel, during a turn. 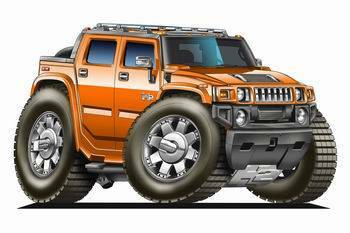 All Wheel Drives are complex systems where engine power is distributed to all four wheels. The vehicle’s mechatronics manages the complex task of determining how much power must be sent to each wheel, at any given time. The steering wheel is the circular ‘ring like’ device, right in front of the driver’s seat. You would also find the horn buttons, light and wiper stalks, audio and phone controls, cruise control, and paddle shifters in and around the steering wheel. The steering wheel is rotated clockwise and anti-clockwise depending on whether you want to turn the car to your right or left respectively. The steering wheel is attached to a spring mechanism such that it returns to the ‘wheels straight’ position as soon as you leave it after a turn. This is called self centering action. The force of self centering action varies from car to car, and it is a good idea to only loosely let go off the steering when self centering, so that you can manually turn it back straight quickly if necessary. Power Steering is an arrangement by which, as you start turning the steering wheel, you get hydraulic or electric assistance, due to which you only need to exert part of the force needed to actually turn the wheels left or right. Remember, more the weight of the car bearing down on the wheels, the more difficult it is to turn the steering left or right. So with power steering, driving fatigue is greatly reduced. As you drive on the road, you need to communicate with other drivers. This is required since you must let others know what you plan to do the next instant, so that they manoeuvre their vehicles accordingly. The indicators, which are orange coloured lamps on either side of the car, flash on and off when put on. Putting on the right indicators indicate that you plan to turn right, and putting on the left indicators indicate that you plan to turn left. Simple! You may have noticed a button at the centre of the dashboard with a red triangle on it. When switched on (and this doesn’t require the keys to be inserted or be in any position), all indicators – both left and right start blinking. Hazard Warning Lamps must be used when your car could potentially cause an accident, and you want to warn other road users about it. The headlights are a pair of bright focussed lamps in the front of the car. They must be used in low visibility conditions during the day, and at night. Headlights have two settings – the High Beam, and the Low Beam. The two settings are made possible by having two filaments within each bulb. In Projector Headlamps, this is achieved using a more complex arrangement. The High beam is used while driving on dark open roads, like a national highway, where long distance visibility is essential. A disadvantage of using high beam is that it blinds drivers approaching from the opposite direction. Therefore, in such situations, the headlights must be temporarily set to low beam. It can be brought back to high beam once the other vehicle has passed. The low beam on the other hand focuses light on to the road, rather than straight ahead. In cities, where roads are well lit, only the low beam must be used to avoid blinding other drivers. The tail lamps are red coloured lamps at the rear end of the car. They turn on whenever the parking lights or the headlights are put on. The bulbs used in this case are also double filament type. The second, and brighter filament is used for the brake lamp. They turn on whenever the brake pedal is pressed. They help you warn the vehicle behind during braking. Reversing lamps, as the name suggests, turn on whenever the reverse gear is engaged. The lamps are located at the rear of the car, and help the driver see behind the car in the night or during low visibility conditions. The parking lamps are located within or adjacent to the headlights. They must be turned on when the car is parked on a street at night, so that other drivers approaching from a distance can spot it. The tail lamps also turn on whenever the parking lamps are switched on. Do note that parking lamps are not very bright, and if the car is parked on the highway, the Hazard Warning Lamps must be used in addition to the parking lamps. The cabin or courtesy lamp is located inside the car, and turns on whenever a door is opened. It can also be switched on using a switch, if all doors are closed. In some cars, only the front doors activate the courtesy lamp. In certain other cars, cabin lamps stay on for a few seconds after all doors are closed. They turn off after a set time, or when the ignition key is switched to the IGN position. The wiper is used to wipe off water from the windscreen (the glass sheet in front of the car, through which you look out), when it rains. A pair of wipers is normally present on the windscreen. The Speedometer – tells you the speed. The Odometer – tells you the distance covered. The Temperature Gauge – tells you the coolant temperature. 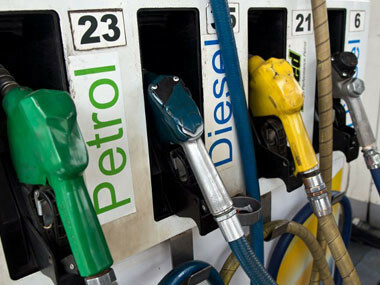 The Fuel Gauge – indicates the fuel level in the tank. Warning Lamps – Each warning lamp has a specific purpose that is illustrated in the owner’s manual. What’s important to keep in mind is that all warning lamps must be off when the engine is running and you’re driving the car. If even one of them is on, you must park the car at a safe location and contact the helpline number provided by the manufacturer. ECU stands for Engine Control Unit. It is the electronic brain of your car, that controls everything from managing fuel injection to very advanced operations in high end cars.